A new legislation has been passes by the Danish Parliament, which aims to establish that a foreign national spouse who is residing in Denmark does not have to rescind his/her Danish residence permit if the partner or spouse living in Denmark dies. An effort from the foreign national spouse to integrate into the Danish Society is very important in order to be permitted to live in Denmark. Regardless of how long they lived in Denmark, the change applies to all partners/spouses of foreign descent. Also, the children of a foreign national spouse will be affected by the rule. Effective 1st February 2014, the law amendment is being implemented to not just new cases, but also for all the pending cases of foreign national spouses who, because of the death of a partner or spouse, lost their Danish residence permits. Under the law amendment terms, foreign nationals who lost their Danish residence permit because of the death of a partner or spouse can apply for the reestablishment of their residency. People who lost their residency within the past two years have the right to re-open their case. After the law amendment takes effect on 1st February 2014, the people who wish to reopen their case need to do it within six months. 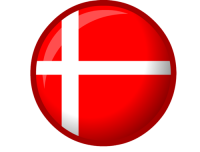 Individuals who lost their Danish residence permits because of the death of their partner or spouse, and were ordered to leave Denmark after 1st February 2012, need to re-open their cases before 1st August 2014. Children of foreign national spouses can also have their cases re-opened. Upon your request to re-open your case, the Denmark Immigration Service will assess your application to reinstate your Danish residence permit regardless of how long you’ve lived in Denmark. In making its decision, the Immigration Service will place particular emphasis on whether you have shown any aptitude and willingness to integrate into Danish society. Case re-open requests can be submitted directly to the Denmark Immigration Service or at a Danish consulate or embassy situated abroad. The application can be submitted by directly going to the Citizen Service of the Denmark Immigration Service or by telephone or e-mail.